Dear clients and collaborators, welcome to our website. It is an honor for me, Jesus Alonso Villarón, to address you after having completed 25 years of history. During these years, we have participated in dozens of projects that have made us today one of the leading service providers and manufacturers of large equipment for oil, gas and chemical refineries, off-shore facilities and industrial plants. Our international vocation has allowed us to participate in projects around the world in more than 40 countries and in this way, we will continue to collaborate with our clients adapting to their needs. Idesa is a company formed by great professionals who work as a united team but, above all, it is a company formed by good people. 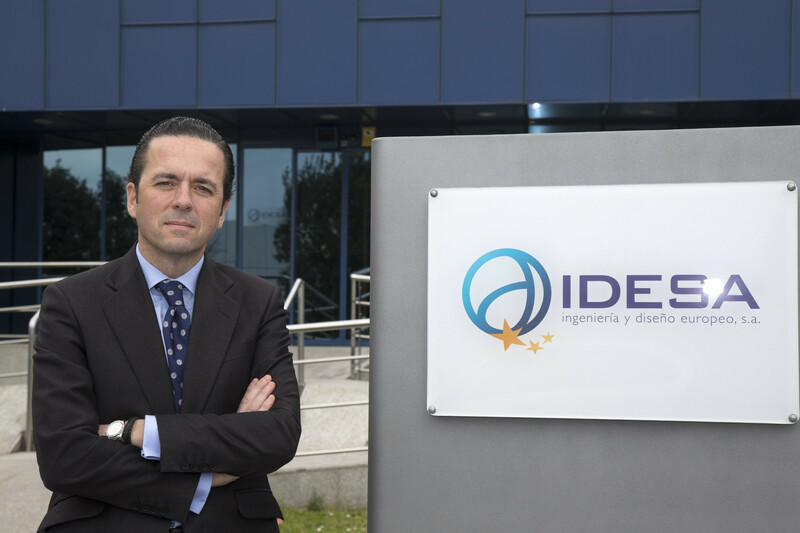 Our employees know how to do their job and work at the service of our clients so that they continue believing in Idesa as a faithful collaborator over the next years knowing that our commitment is the greatest guarantee for their success. We are a family-owned company belonging to Grupo Daniel Alonso that is currently one of the main European industrial groups. This family vocation means that our values ​​are projected in our relationship with our workers, clients and suppliers. Currently our commitment is framed in compliance with safety and environmental standards and in the implementation of the enabling technologies of Industry 4.0, that make us gain competitiveness, guarantee our future sustainability and allow us to make a difference in product quality that benefits our clients. We firmly believe that the future is already here, and we are prepared to adapt to the profound changes that are occurring in the global energy industry. Thank you all for trusting Idesa. Chairman of Ingeniería y Diseño Europeo, S.A.